We continue our discussion on the most common diseases of the nervous system and look today at Parkinson’s and Alzheimer’s. These are both diseases caused by the loss of brain neurons in very different ways. My discipline of nutritional medicine puts great emphasis on the causes and processes of specific diseases and then we look at how we can influence healing processes involved. While the human body is incredibly complex there are in reality only a few common disease processes in most non-infectious diseases. By far the most dominant are the twins of oxidative stress and overproduction of immune system inflammation. This is certainly true of both Parkinson’s and Alzheimer’s. 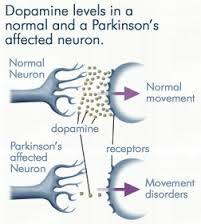 Parkinson’s disease is caused by destruction of dopamine-releasing brain neurons in the area of the brain called the substantia nigra. Dopamine is a neurotransmitter that is essential to help with brain function. The loss of these dopamine secreting neurons results in the persistent tremor and other symptoms. Some suggest the tremors result from a loss of equilibrium between dopamine and the excitatory neurotransmitter acetylcholine. According to PD researchers C. Henchcliffe and M. Beale (Nature Clinical Practice Neurology, 2008) the most likely cause of PD are certain genes that target the energy producing mitochondria of these neurons. This is why I target nutritional therapy at neuron mitochondria. This then causes a cascade of cell changes including reduced energy production and a significant increase in free radicals. When this damage accumulates it becomes toxic to the cell eventually resulting in cell death. High fibre to help with the constipation often part of PD. Increase both soluble and insoluble fibre. Wholegrain oats, ground flax seeds and psyllium are all excellent. Target Omega 3 fatty acids from both marine and plant sources. Salmon, tinned and fresh (for tinned try wild Alaskan red salmon), mackerel and sardines. Any fresh fish is excellent but salmon and darker flesh like trevally and kahawai are all very high in Omega 3. For plant Omega 3 target walnuts, freshly ground flax seeds, chia and pumpkin seeds. I grind enough flax seeds for a week and store in the fridge. Have a heaped dessertspoon daily. I prefer not to use commercially pre-ground flaxseeds as the oils are very susceptible to rancidity (oxidation). Turmeric is excellent. A potent antioxidant and is very anti-inflammatory. Have a teaspoon daily and always with some black pepper to help absorption. I include a potent 95% Curcumin extract in Curcumin 95 and MTQ10. There is some good research on the benefits of green tea with PD. While tea bags are fine, I think the best is whole leaf green tea and make a pot. Brew for at least 5 minutes. Have 3 cups daily. A number of antioxidants have been suggested as having potential to reduce this free radical damage, especially Co enzyme Q10 and alpha lipoic acid. My approach is to apply a broad range of antioxidants and then to add much higher amounts of a specific CoQ10 and R-alpha lipoic acid. Resveratrol and OPC’s are the main grape derived antioxidants and these may well have an advantage in they are both anti-inflammatory. I specifically formulated my MTQ10 to support neuron health and this is an important part of my nutritional support for any nervous system problems. High doses of fish oils and maintaining vitamin D at the top of the normal range are very important. Minerals, especially selenium are critical. Research shows people with PD have low levels of the critical antioxidant glutathione- this is made from selenium. Additionally, N- acetylcysteine (also in MTQ10) helps to recycle glutathione. 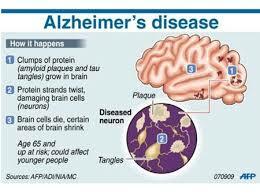 Alzheimer’s disease (AD) is another progressive degenerative brain disease caused by the death of brain neurons. Neuron death is caused by the accumulation of beta-amyloid plaques which are toxic to neurons. The first signs of neuron death are a loss of short term memory which eventually moves to advanced memory loss and senility. There are many theories as to the causes and processes of AD but it seems as the destruction is partially caused by an inflammatory response against the beta-amyloid proteins that form plaques. The body reacts to these as it would an invader. New anti-inflammatory drugs are now proposed as part of treatment for AD. For diet, use the recommendations for PD above. My approach is to add high doses of Omega 3 from fish oil as this increases the immune system production of anti-inflammatory compounds. Additionally, DHA in fish oil is the preferred fat for the brain so maintaining high levels makes sense. From a nutritional view I like to add higher doses of antioxidants especially the OPC’s and Resveratrol as these freely cross the blood brain barrier to protect brain cells. There is excellent research linking high levels of homocysteine to Alzheimer. This is a by-product of protein break down. Homocysteine is in itself broken down by the B vitamins B6, B12 and Folic acid. MTQ10 again has a full B complex and this combined with Cell-X can really help. As always, this advice is generalised. If you would like specific advice, please contact me by phone or email.